For all the love and loyalty they give us throughout the year, we show gratitude to our pets by... excluding them from the Thanksgiving feast? When roving noses make their way into your lap during dinner, it can be easy to give in and slip pets a scrap or two from the table. But feasting on rich, fatty foods can knock the stuffing out of Fido and Fluffy (not to mention your wallet). 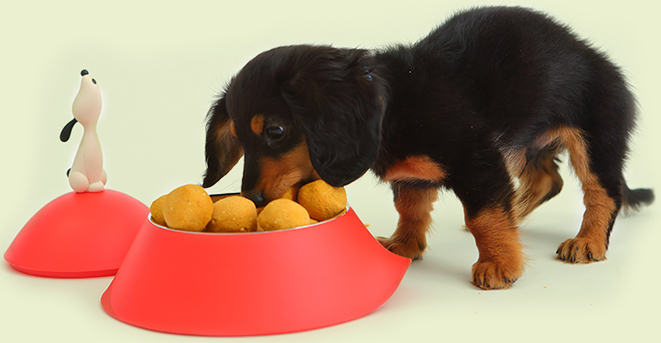 Pancreatitis and food poisoning are common conundrums when pets eat from your plate. What’s a pet parent to do? Turn to this “Mutt’s Menu” of delicious Thanksgiving recipes for pets. Petplan’s veterinarians carefully concocted each recipe so pet parents can rest assured they’re offering a safe alternative to table handouts. That way furry friends can be included in the festivities – after all, they have a lot to be thankful for, too. 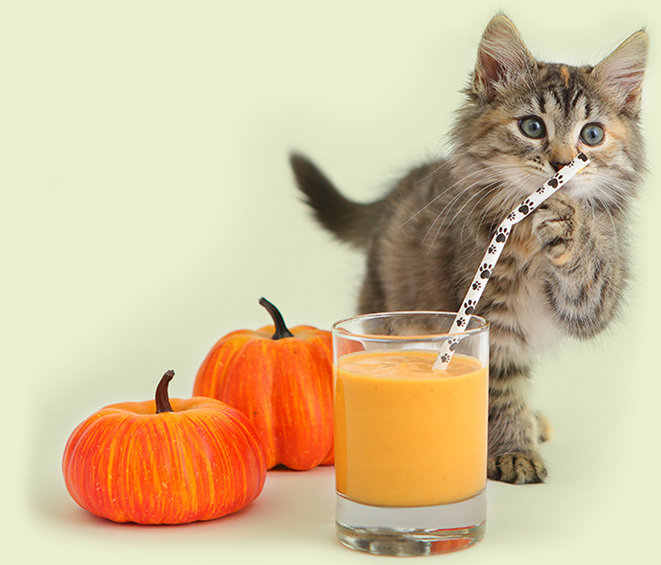 Dogs and cats can wet their whistles with this creamy pumpkin drink that’s packed with fiber and probiotics. Place pumpkin and yogurt in a blender and blend on high until smooth. Evenly pour mixture into 8 small paper cups. Serve immediately or refrigerate/freeze overnight. Slice a few slivers when the turkey comes out of the oven to create these mouth-watering morsels for cats and dogs. 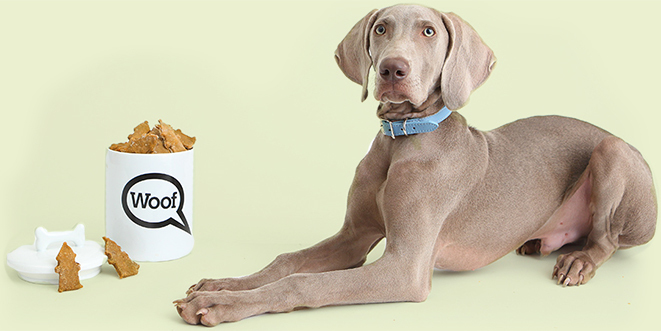 A boost of beta-Carotene and punch of potassium make these cookies a healthy coda to your dog’s dinner (they’re a little too crunchy for cats’ teeth). In a medium-sized bowl, mix the sweet potato and banana until well blended. Add the vegetable oil, then mix in the quinoa flour. Drop dough by the teaspoon onto a non-stick baking sheet and lightly flatten each cookie. Bake for 30 minutes and let cool before serving. Remember: a single splurge on Thanksgiving Day is okay, but avoid overfeeding for the rest of the week. Sharing leftovers can be a great gift for neighborhood pups, and is sure to put you on the "Nice" list, come Christmas!